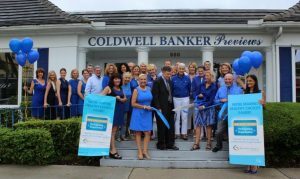 Congratulations Naples Coldwell Banker Previews Office! We are on a mission to help people Live Longer, Better Lives! What is a “Blue Zone”? Well, if you are living in Naples Florida, you will soon be hearing this term a lot. By definition, Blue Zones is a concept used to identify a demographic and or geographic area of the world where people live measurably longer lives. There are five regions in the world where residents live longer, healthier lives; they are: Sardinia Italy, The islands of Okinawa Japan, Loma Linda California, the Nicoya Peninsula of Costa Rica, and Icaria Greece. In a study conducted in 2009 it was found that 1 out of 3 people on the island of Icaria live well into their 90’s and have about a 20% lower rate of cancer, 50% lower rates of heart disease, and virtually no dementia! 1. Move Naturally: Take the stairs rather than the elevator, stand rather than sit, park far away from the store entrance. Contrary to common thinking, those who exercise do not actually live healthier lives, but those who ‘move naturally’ do. 2. Purpose: Knowing your sense of purpose is worth up to 7 years of extra life expectancy! Can you sum up your life’s purpose in one or two sentences if asked? 3. Down Shift: Stress leads to chronic illness and inflammation and is associated with most major age-related diseases. 4. The 80% Rule: Most of us over eat. This rule suggests you stop eating when you feel no more than 80% full! 5. Plant Slant: Always favor plant-based foods over meats. 6. Wine: Yes, you heard it right! Having one or two glasses of wine in the evening, preferably with a companion, has health benefits. 7. A Sense of Belonging: It is confirmed, people who attend a faith-based service 4 times per month add many years to their lives. 8. Loved One First: Centenarians keep aging parents and grandparents nearby, are in a committed loving relationship, and invest emotionally in their children. 9. The Right Tribe: The world’s longest-living people chose or were born into social circles that support healthy behaviors. Now, imagine if we [Naples Florida] could make small, incremental changes to the way we live and in doing so dramatically improve the well-being of our entire community—Well, we can, and we are! 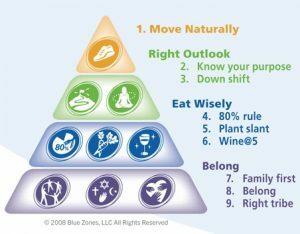 I suggest you log onto the Blue Zones website. 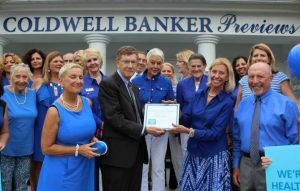 You will be excited to read that Naples Florida is currently a Blue Zones project. I recently took The True Happiness Test, also offered on this website. Links are also available to printable versions of the “Check Lists”, and great recipes, and sources to help you become more involved. I am so excited and proud to be living in a town like Naples Florida that is committed to helping its citizens lead longer, better lives! For more information on the local Blue Zones project and to read our community assessment, visit Collier County Blue Zones .